Kids of all ages love the thrill of the speed boat ride. 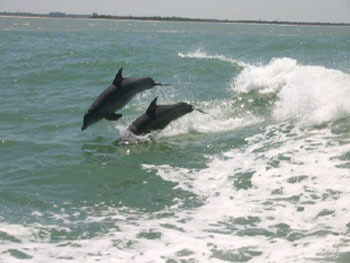 And they LOVE seeing the dolphins. Sea Screamer is Coast Guard licensed. There are two bathrooms aboard and refreshments are available for a modest price.